Perfect for celebrating a special occasion, or just making sure your meals and other essentials are arranged in advance, Gatwick airport hotel upgrades can save you money and make your stay even more enjoyable. Once you've selected the hotel you like, you'll be able to add a variety of Gatwick airport hotel upgrades, including dinner and breakfast, to your booking. HolidayExtras.com offers dinner upgrades at a number of Gatwick hotels. For instance, we offer an incredible deal at the Gatwick Hilton. Here, you can add a three-course buffet dinner to your booking for a huge saving on the normal price when you pre-book through HolidayExtras.com. At the Sofitel Gatwick, you can enjoy a two-course dinner at a price you'll love. If you're after a hearty breakfast before you fly, the Gatwick Best Western Moat House has plenty of options. You can enjoy English breakfast items, cereals, pastries and fruit juices at a reduced rate; yet another saving through HolidayExtras.com. There are plenty of other Gatwick hotel upgrades available. 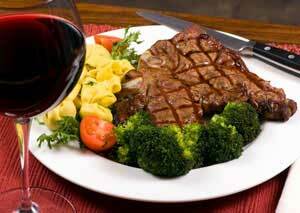 Have a bottle of house red or white delivered to your room at the Ramada Gatwick. Alternatively, upgrade to an executive room - you'll get a bigger room, free movies, internet access, a morning paper and more. Two or three-course meals at a restaurant close to your Gatwick hotel, and breakfast at the airport itself, can be expensive. Not to mention the hassle of finding somewhere to eat that you like the look of. Pre-book a Gatwick hotel dinner upgrade for example, and you won't need to worry about finding somewhere to eat. You'll probably save some money too. We know that convenience and value are everything when you're going away, so let HolidayExtras.com arrange your room, meals and everything you need to start your holiday early. 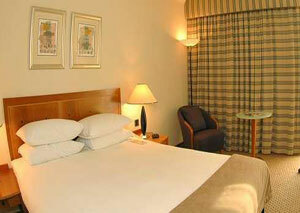 Our full range of Gatwick hotel upgrades will be displayed after you've made your hotel selection. Executive room at Gatwick Hilton is worth the upgrade. Great room and use of the Exec Lounge makes a great start to your trip. Disappointed with the hotel - even with an upgraded room there was no water provided in the room. This had to be purchased from the restaurant bar. Inconvenient to have to bother with. Very mean. I paid extea for an upgraded room but apart from 2 tiny bottles of water I couldn't see what we got for the additional cost. We got a similar room on the return journey for no extra cost. The guest rooms need a refurb.